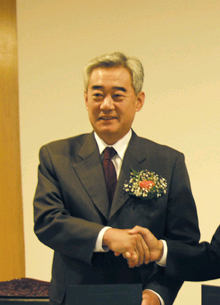 LAUSANNE, Switzerland (June 3, 2005) – Dr. Chungwon Choue, president of the World Taekwondo Federation (WTF), and Mr. Ung Chang, the North Korean member of the International Olympic Committee (IOC) and president of the International Taekwondo Federation (ITF), met at the IOC headquarters here today to exchange opinions on how to develop taekwondo. 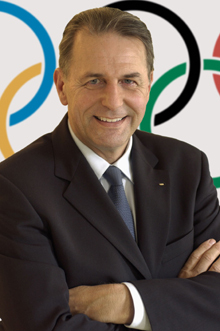 Dr. Jacques Rogge, president of the IOC, also attended the meeting. 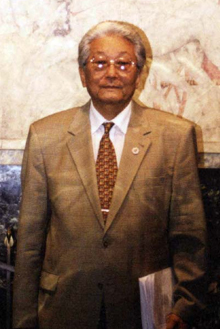 It was the third meeting for Choue and Chang, after two rounds of talks during the Athens Olympics Games in August 2004. Both parties shared the view that there is a long way to go before full-pledged integration between the WTF and the ITF is possible; nonetheless, they stressed the importance of continued dialogue between the two global taekwondo bodies. Prior to full-fledged WTF-ITF talks for possible taekwondo intergration, Choue and Chang shared the view that technical and administrative matters should be thoroughly and cautiously discussed over time, given the two taekwondo bodies' differences in poomsae and competition rules. In regard to technical and administrative matters, as well as other fundamental matters related to the possible integration of the two taekwondo bodies, Choue proposed creating a working committee comprising representatives from the WTF and the ITF. President Rogge pledged his full support for the idea. Choue said that he would call an Executive Council Meeting of the WTF as early as possible for final decision of the concerned issues, including the proposed formation of the working committee. Rogge expressed his strong support for the ongoing dialogue for the development of the WTF and the ITF.